Municipalities (Gemeinden, communes, comuni, vischnancas in German, French, Italian, Romansh respectively / plural form) in this map are likely to be outdated because it is changing quickly. There were 2,495 municipalities in January 1, 2012, 2,408 in January 1, 2013 and 2,396 in May 1, 2013. Considering the speed of change, the map is likely to be outdated at the time of publication. Note: For the Canton of Glarus, Outdated municipalities were used because the new municipalities were too large compared to other territories. Review by [UN] The M.A.N. on 7/14/2014. A nice, large map that's lots of fun to mess around with and it has the benefit of being ultra realistic. My biggest gripe is the open spaces in some of the areas of the map. Many large maps (such as the giant USA) fall into the trap of large, open areas where it is less strategy and more overwhelming force however I feel like this map's many bonuses and lakes/rivers help it somewhat with the openness. The fact that some of the Southern Cantons are not connected was a nice choice as well. 4/5 (Now how to make a diplo out of this). Review by Ninjafisher1980 on 7/11/2014. Always love a gigantic map to play on. However, I bonuses are very large (in area), so game makers have to keep that in mind when deciding on the settings. Review by Nathan on 7/16/2014. Epic. Amazing. Massive. Incredible. And more words like that. I only saw a handful of missing connections - remarkable in a map of this size. 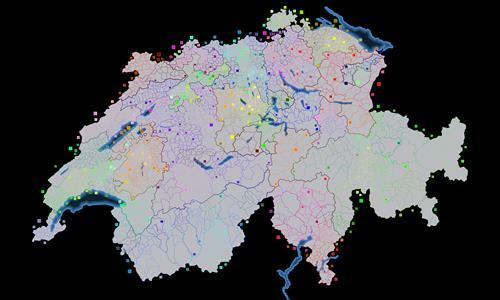 Most were near the central lakes / Luzern region. Review by Kummi on 11/29/2014. Review by LordX on 7/15/2015. Big, big and big map ! But very challenging! If you got a lot of time to kill this map will do that. Review by VaporWolf [FROG] on 8/16/2015. Review by daveyGater on 7/16/2018.